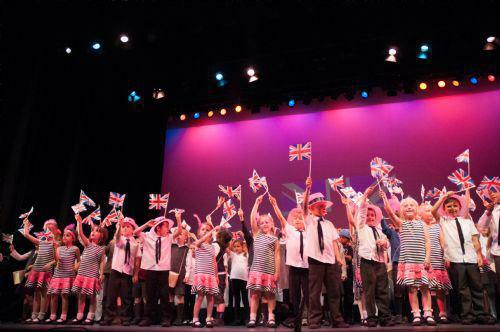 On Monday 14th July the whole school took part in a production called 'Old News' at The Hawth Theatre in Crawley. We arrived at the theatre at 3.30pm for a dress rehearsal on stage and following a break for tea, performed to families and friends in the evening. All the children were amazing and enjoyed the experience of performing on stage, in a theatre. Members of Class 6 took the parts of newsreaders and reporters, introducing scenes on key points in history which involved different classes performing their pieces. Special thanks must go to Ruth Adams for leading the production, Kay Powell for organising and making many of the costumes, all the staff for preparing their classes and particularly to Tom Pavier who organised the special effects and sound and Luke Notridge who organised images that were projected for each scene. Old News was written by Lucky Bucket Productions.